If you are looking to build your own website, and need it to look professional and to work right, then Wix.com is a great solution. The coolest thing about Wix is that you can easily design your own website for free with their website creator tool; no coding experience required. This means you can get your site up, running, and looking good with no designing headache. This review will cover all the major elements to consider before signing up. I have built my own website. Let me clarify: I have built many, many different versions of my website, using multiple different website building tools over the years. Currently, this site is built on a SmugMug, and I love it. However I am continually drawn back to checking out and playing with the Wix website builder, because of the incredibly cool functionality and layouts that they offer. The newly released Wix editor is amazing. Let me preface this review by saying that I am a photographer, so I have only really used Wix for that purpose. Having said that, if you are looking to build your own custom website for yourself or your business, then Wix.com is a great easy online tool for making it happen. The spotlight of this Wix review is on the ease of use. Entirely customizable, insuring maximum responsiveness and slick design, and there is no coding required. Although you can really use it for anything from business, to blog or portfolio, I personally used my Wix account to create an awesome photography website. The large variety of ways to display images and galleries was a major appeal for me when looking for a way to display my art, and the eCommerce options allowed me to sell my photos directly from the site. The best part? You can try Wix for free to test it out and see if its right for you. There are over 500+ free Wix website templates that are fully customizable HTML5 designs, and are available to choose once you sign up. They have them separated into categories based on what you are designing your website for, which is a nice feature. Ecommerce online store. Great for anyone who needs to sell their stuff online. Search Engine Optimization (SEO) – page titles, meta descriptions, and alt tags can be added. A Wix Premium subscription is the perfect solution for your small-medium business website. It allows you to focus on what matters, and let the Wix premium support team handle all of the technical things so you don't have to. If you are looking for anything more than just the basic functionality of a website, I highly recommend the Wix Premium subscription. The upgraded plan even comes with $300 in ad vouchers (Bing and Google Adwords), as well as a free year of domain hosting, and $118 worth of free premium Wix apps. Click here for more information on all the pricing details for the various subscription levels. Unlike my other favorite photography website building companies SmugMug and Photoshelter, Wix websites can be built with a very wide-range of industries/interests in mind. While they do have amazing photography design templates, what makes Wix stand apart is that they have customizable site designs for pretty much any business vertical. For photographers in particular, I would recommend checking out my in-depth SmugMug review, or the side-by-side comparison of websites for photographers. 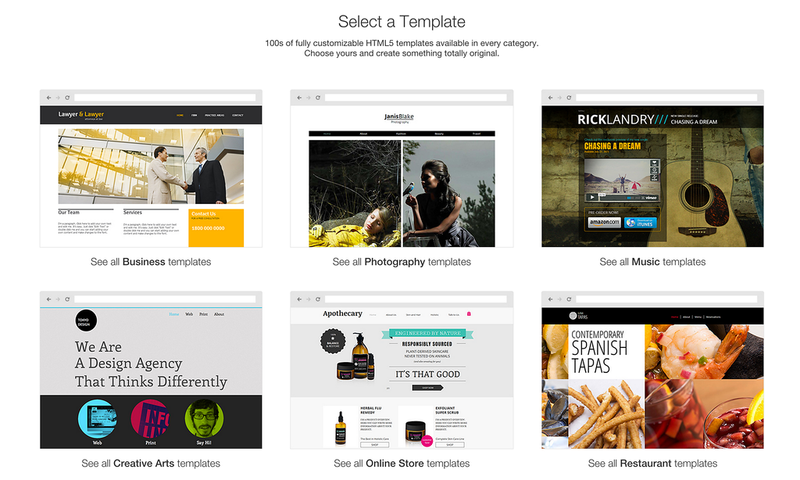 Whether you are designing a site for your local plumbing business, your new restaurant, wedding photography, or pretty much anything you can imagine, Wix probably has a customizable template for you. 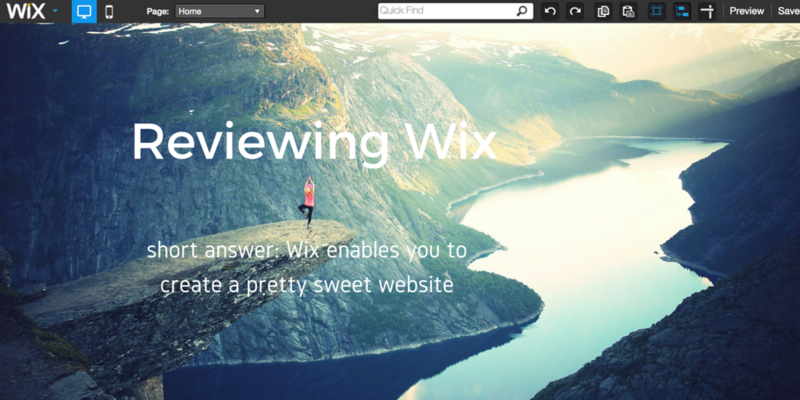 Wix for Photographers Review: is this Website Builder Right for You?